Fascination with, and speculation about, what millennials think about work and business is rampant these days. It’s unfortunate that (ageing!) millennials are often used as a stand-in for “young folks these days” but the results of Deloitte’s annual survey on the topic are worth looking at none the less. …For its seventh annual report on the millennial generation in the workplace, Deloitte researchers surveyed 10,455 college-educated professionals from 36 countries who were born between 1983 and 1994. This year’s findings revealed a significant downward turn in millennials’ opinions of business ethics. 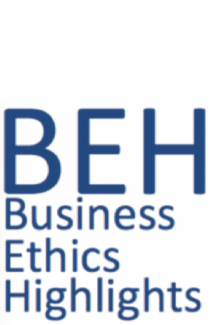 Whereas last year 65% of respondents said that they believe that businesses behave ethically, this year only 48% do. Over the past few years, millennials’ opinions of businesses have steadily climbed, but 2018 marked a sharp reversal. Three-quarters of this year’s respondents say that businesses are more concerned with their own agendas than the greater good, up from 59% in 2017. Similarly, fewer than half (47%) think that business leaders are committed to helping improve society, and 62% believe that businesses have no goals other than making money….